Just two days into a much-lauded program to open up Shanghai's stock market to foreign investors, the flow of cash has dwindled to a trickle. The program, which allows investors to buy Shanghai stocks through Hong Kong (or northbound trading) and vice versa -- subject to daily trading caps -- saw much lower volumes Tuesday. Foreign investors traded only 37% of the daily quota of 13 billion yuan ($2.1 billion). When the program launched Monday, the limit was hit an hour before markets closed. Chinese investors trading Hong Kong stocks were even less enthused, using just 7% of the 10.5 billion yuan ($1.7 billion) quota. That followed a dismal first day, when only 17% of the quota was taken up. "The northbound flow is less strong today, primarily because of the weak performance of the domestic market," said Becky Liu of Standard Chartered. Related: China's stock market finally opens to foreigners. Now what? The benchmark Shanghai Composite Index declined 0.7%. Liu said the fall was sparked by poor property sales data, which reinforced existing concerns about China's growth. Hong Kong's Hang Seng Index also fell, clocking a 1.1% slide. Despite the low interest Tuesday, Yang Xia of UBS expects appetite among foreign investors for Chinese stocks to increase. Chinese investors, however, may be less keen to make use of the program because they have other ways of buying foreign stocks. In the longer term, the program will become less volatile, he said. "Once people see that this tsunami of money doesn't seem to rush in or rush out as some people expected initially, some of the speculative force will recede," Yang said. 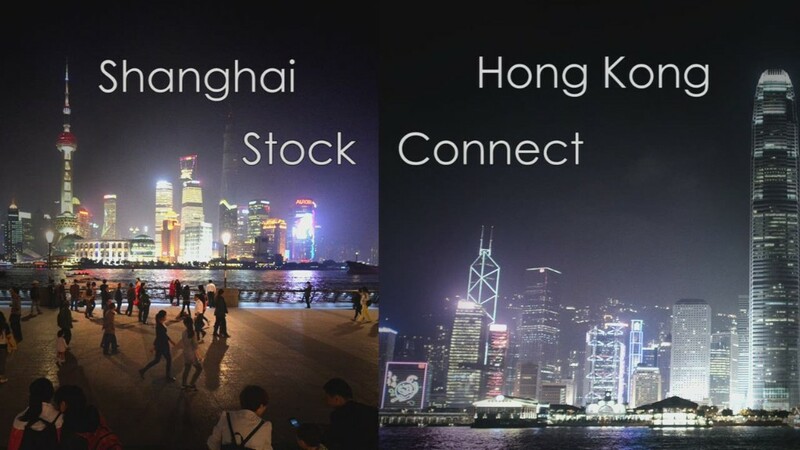 Until the launch of Stock Connect on Monday, investing in Chinese stocks was only open to a select group of licensed institutional investors. Almost 600 companies traded in Shanghai have been approved for the pilot program, and nearly 300 for trading in Hong Kong. Experts say this is one step in the right direction as China opens up its financial markets. Future steps could include expanding the list of eligible companies, relaxing the quota, or rolling out the trading link to other exchanges, such as Shenzhen.